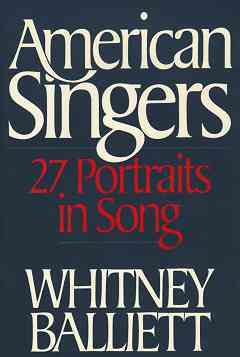 American Singers - 27 Portraits in Song [balliett1092] : Jazz Record Center, Rare and out-of-print books, records and more. An expanded edition of Balliett's 'American Singers'. This volume contains thirteen extra biographical profiles.